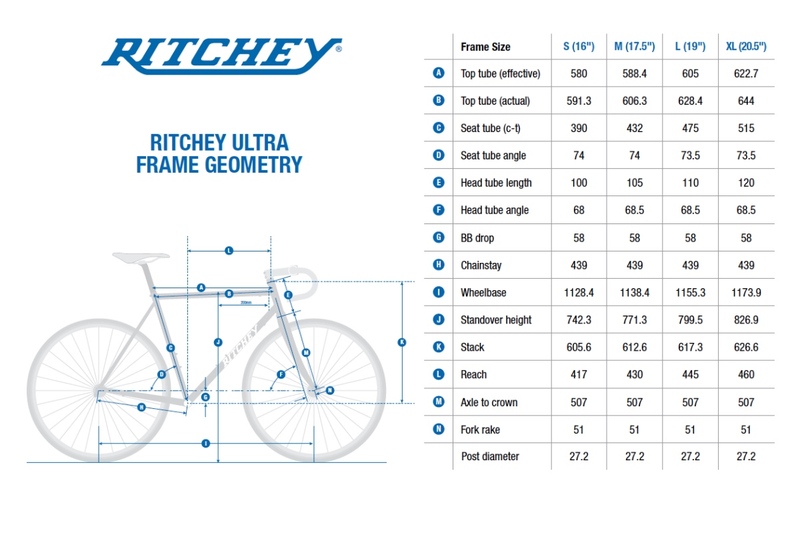 The Ritchey Ultra is meant for fun first. 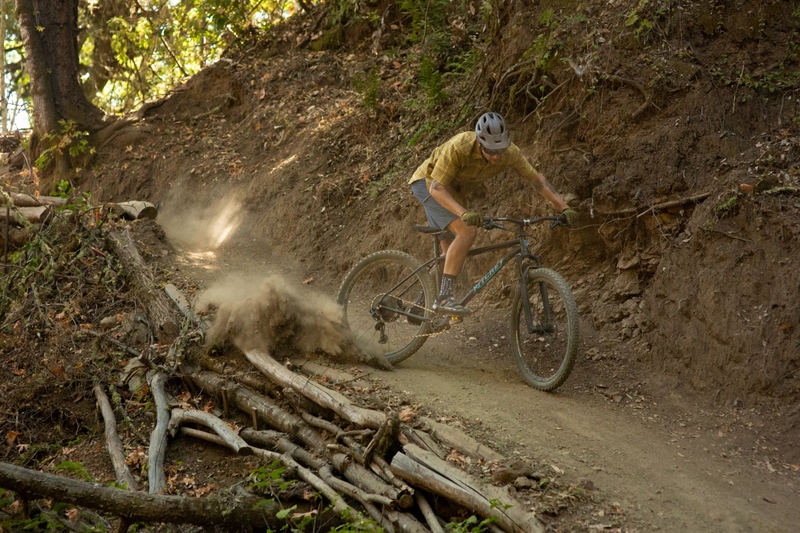 If there’s one thing Tom Ritchey knows, it’s dirt. 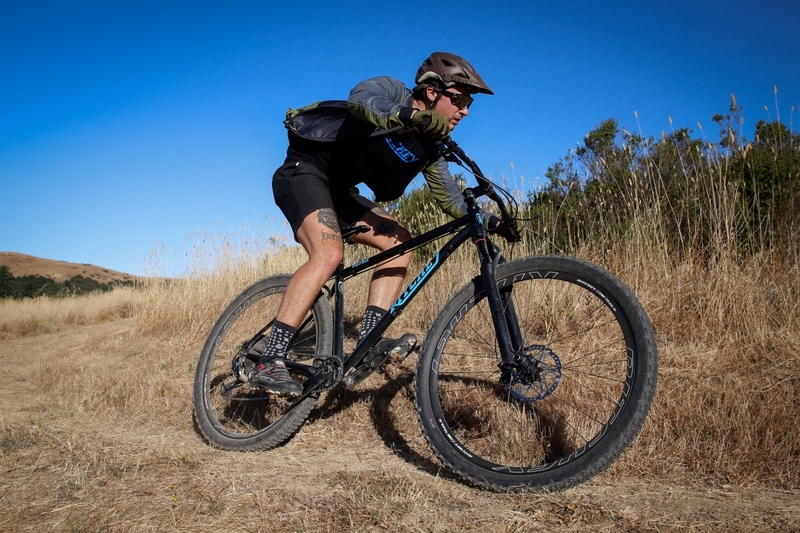 When he first designed the Ritchey Ultra hardtail mountain bike he knew it would appeal to riders who demand specific ride characteristics and dirt slaying — and that was in the 1980’s! 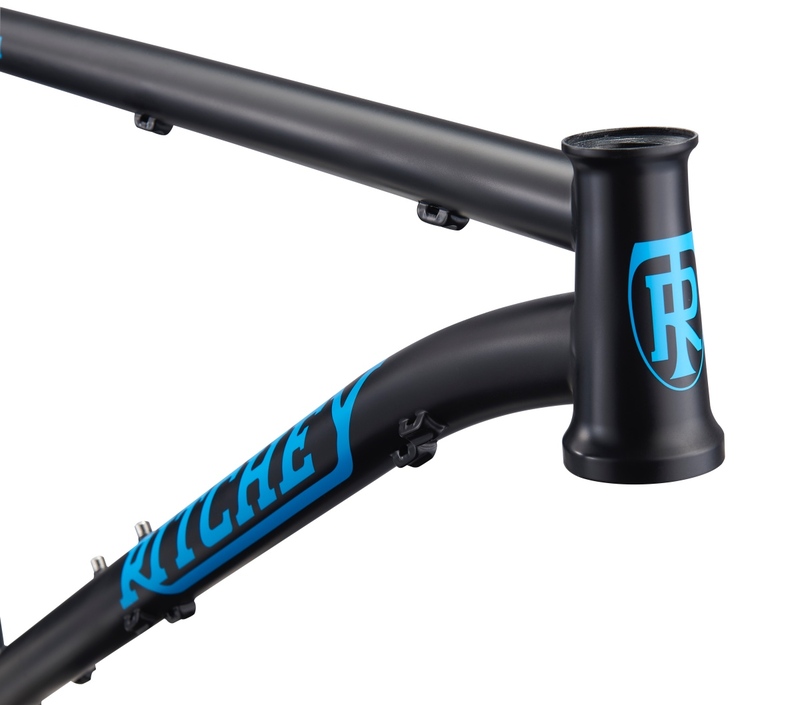 The new Ritchey Ultra frame will retail for $999. 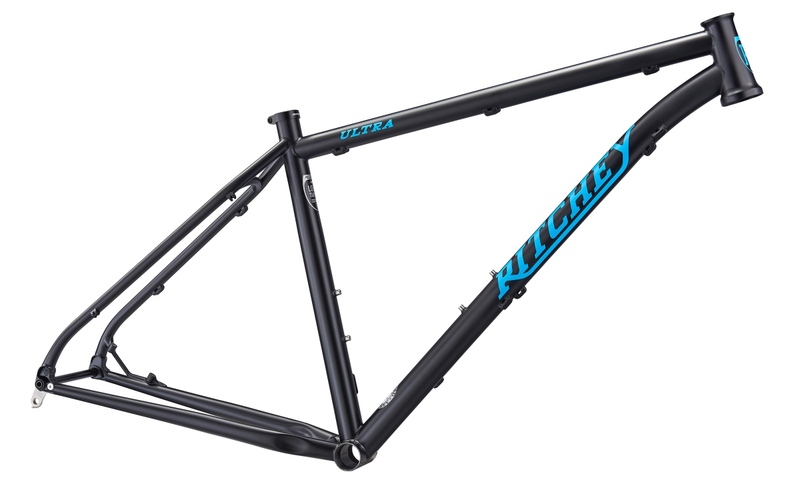 Well, good design withstands the test of time, and the latest iteration of the Ritchey Ultra is a prime example. Like its predecessor from 30 years ago, the new Ritchey Ultra occupies a unique ride space for cross-country riders looking to get rowdy and go big. Headtube angle is a modest 68.5 degrees and the frame plays nice with 120mm forks. 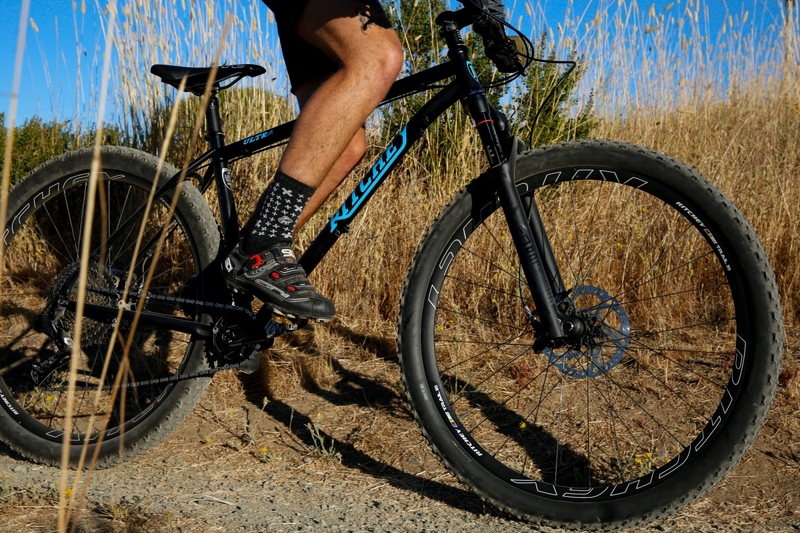 The Ritchey Ultra is designed around an 120mm travel fork and can accommodate 29er or 27.5+ wheels, with max tire width at 2.4 and 2.8 respectively. 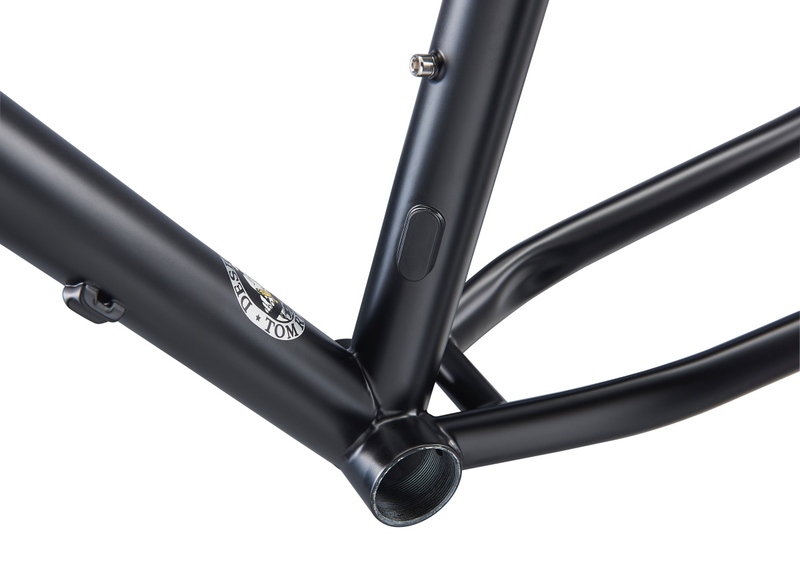 Other features include internal routing for a dropper post, boost 148×12 rear spacing, ultra-light forged and machined tapered head tube, and an integrated 1.5” tapered drop in headset. 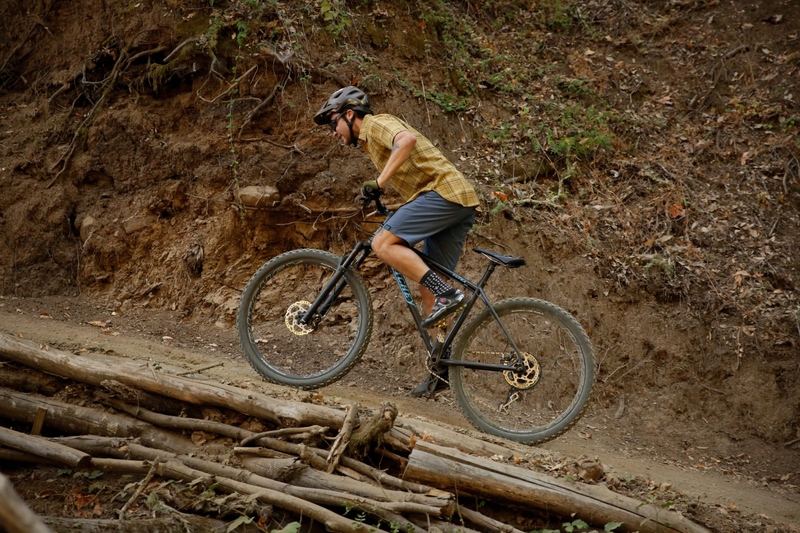 The Ritchey Ultra has no problem getting a little loose when the situation calls. 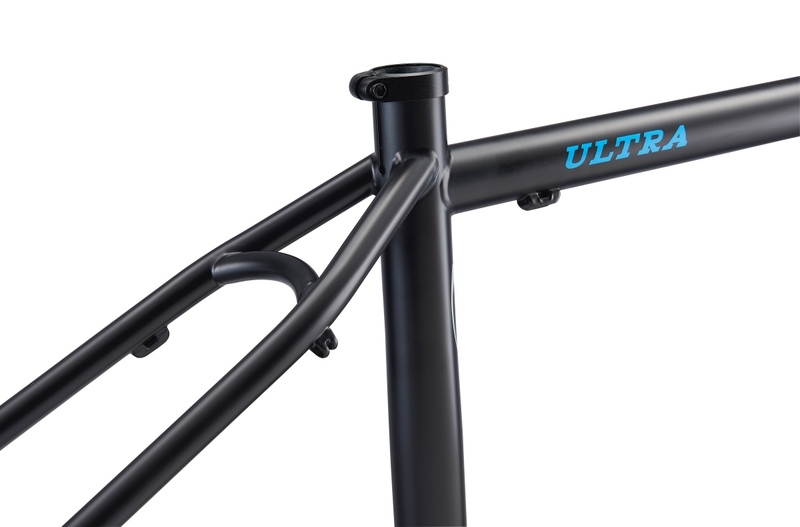 Frame material is Ritchey Logic steel tubing, and available sizes are S (15″), M (17″), and L (19″). There’s also a replaceable stainless steel derailleur hanger, and the bike can accommodate 1X or 2X drivetrains. Frame color is Sierra Slate. Price is $999. The Ritchey features an ultra-light forged and machined tapered head tube, and an integrated 1.5” tapered drop in headset. Boost spacing in the rear of course. Of course it can climb well. There’s also a replaceable stainless steel derailleur hanger, and the bike can accommodate 1X or 2X drivetrains. 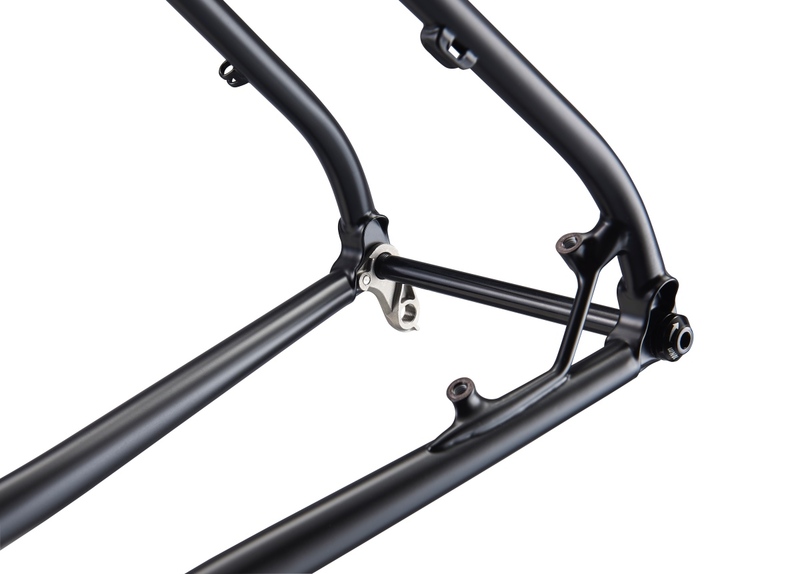 Other features include internal routing for a dropper post. It almost seems to me that the geometry chart has the ETT & Actual TT numbers transposed. I find it hard to believe that a modern MTB would have an ETT of 24.5″ in a XL size. 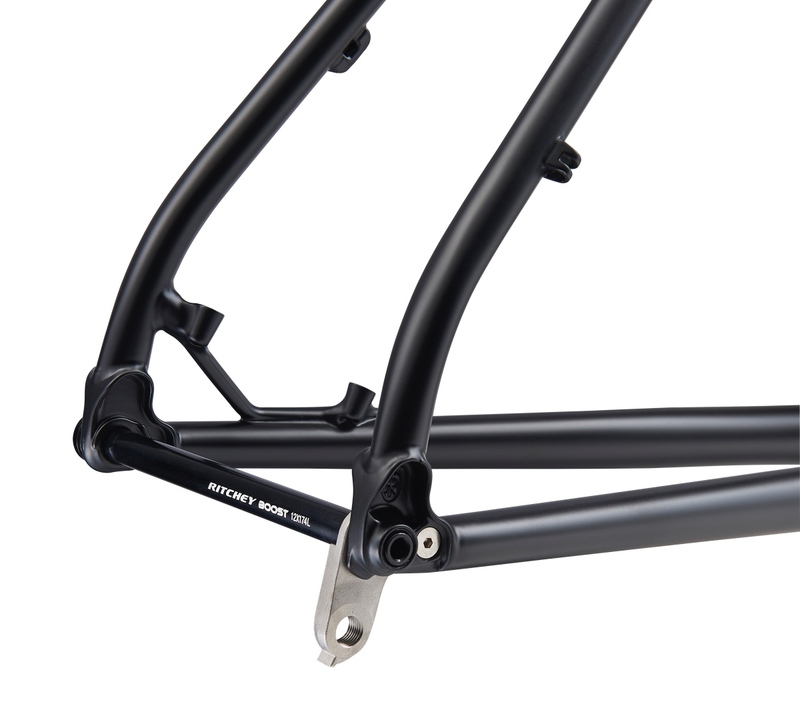 Yet again… another frame (STEEL EVEN) that’s not singlespeed ready/convertible.